Single Tube, Full Segment Sequencing | Fusion Genomics Corp. Commonly called “The Flu”, the influenza virus has a major impact on global health. Every year 5-10% of the world’s population is infected with a flu virus which leads to between 3 and 5 million hospitalizations, of which half a million are fatal. The preventive steps against flu are good health habits and prophylactic vaccines which boost the response of the immune system. The problem with vaccination is that there are too many different kinds of flu viruses which mutate every season, hence it’s not “a one-shot cures all”. 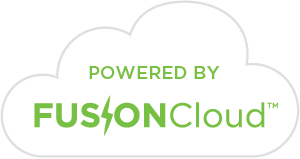 However, the ONETest™ Influenza Sentinel assay together with FUSIONCloud™ is a “one test finds all” solution. ONETest™ Influenza Sentinel accurately identifies all known genotypes and subtypes of influenza viruses in one, easy to use, NGS-based assay which reduces the time looking for the one correct “shot”. How does FUSION’s ONETest™ Influenza Sentinel assay work? It captures all influenza genome segments including 100% coverage for hemagglutinin (HA) and neuraminidase (NA) segments. It simultaneously identifies all major circulating inﬂuenza viruses (A/H1N1, A/H3N2, B/Victoria, and B/Yamagata) in a single reaction. It detects multiple co-occurring types, subtypes, and strains. It discovers mutations possibly associated with antigenic drift or virulence as well as quasi-species within a sample. It calculates viral load through semi-quantitative estimation. The ONE™ Influenza Sentinel assay was applied on H1N1 inﬂuenza virus-positive samples. Example data demonstrates the assay’s capability to (1) identify inﬂuenza type, subtype, and strain correctly, (2) recover the entire sequences of HA and NA, and (3) reveal mutations and quasi-species. Figure: Example read coverage over the (A) hemagglutinin (HA) and (B) neuraminidase (NA) segments. Data was generated using an Illumina NextSeq® machine from a H1N1 inﬂuenza virus-positive sample processed using the ONETest™ Influenza Sentinel protocol. Inﬂuenza typing and reconstruction of the HA and NA consensus sequences were performed on the FUSIONCloud™. The reads were aligned to the consensus sequences, and their alignments were visualized using IGV1,2.